Back in 1989, the artist collective known as the Guerilla Girls famously asked: Do women have to be naked to get into the Met. Museum? . There’s still a long way to go until there’s gender parity in the artworld but there are signs of progress. Wherever you venture in the Art Gallery of NSW at the moment, you’re likely to encounter the work of an inspiring woman. On lower level 2, four of the contemporary galleries have been transformed by new and recent work from Mikala Dwyer, one of Australia’s most inventive artists, whose playful installations reimagine familiar materials. There’s also a display of work by Pat Brassington, an Australian photo-media artist renowned for her ability to infuse the familiar with the fantastic. In her images, bodies confound our expectations of anatomy. In the next gallery, the artists in Something living are also approaching the human figure in sometimes strange ways. Among them are American artists Rachel Harrison, Mernet Larsen, Arlene Shechet, Dana Schultz (with a portrait of herself breastfeeding) and Katherine Bernhardt (who has painted popular culture’s most charismatic feminist, Lisa Simpson). You’ll find more surprises in Out of the ordinary , where – among the works by Australian and New Zealand contemporary artists — Sarah Hughes’ paper price tags burst into a radiant mandala and Rebecca Baumann’s printer performs a colourful abstraction, alongside Michelle Ussher’s, Helen Johnson’s and Kushana Bush’s stunning works on paper. There are 40 works by contemporary women artists in the Archibald, Wynne and Sulman Prizes exhibition this year (out of a total of 104), including by the Sulman Prize winner Joan Ross and the Wynne Prize winner Betty Kuntiwa Pumani. Pumani is from the Anangu Pitjantjatjara Yankunytjatjara lands in South Australia, and you can see another of her works in the entrance court on the ground floor, which is currently hung with brilliantly coloured large-scale paintings from the Gallery’s collection by women from the APY communities, including last year’s Wynne Prize winner by the Ken Family Collective. Downstairs in the Yiribana Gallery, you still have a chance to see Sentient lands , which includes the work of a dozen individual Aboriginal women. Perhaps the most astounding of these is Emily Kam Ngwarray, who worked as a camel handler and stockhand in her community of Utopia before she became a professional painter in her 70s, producing over 3000 paintings in eight years and achieving worldwide renown. Passion and procession in the Asian galleries is a rare chance to experience the work of contemporary Philippine artists, including Nona Garcia, who has produced an enthralling lightbox installation; Geraldine Javier, whose installation is inspired by plant roots (rather than the more commonly depicted leaves and flowers); and Marina Cruz, who has devoted much of her career to painting the dresses made by her grandmother for the artist’s mother and siblings. In the Grand Courts, seek out the trailblazers of a century or more ago. Don’t miss Helen Allingham in the Victorian watercolours exhibition, who worked as a magazine illustrator before taking up watercolour seriously. Her works were phenomenally successful; the Art Gallery of NSW bought a selection of watercolours from her one-woman show at London’s Fine Art Society back in 1889. She was made a full member of the Society of Painters in Water Colours in 1890 when the bar on women holding full rank was lifted. 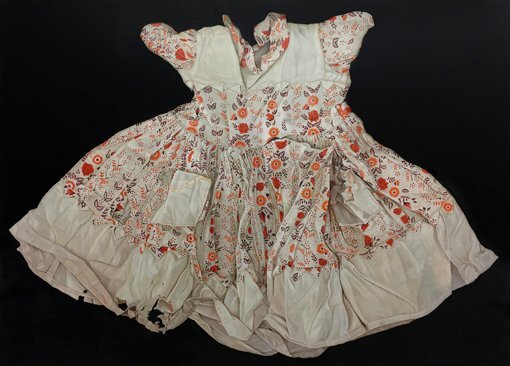 Nearby look for a vivid watercolour by Gertrude Demain Hammond, who also worked from the 1890s as a black-and-white illustrator, establishing a self-supporting career that continued after her marriage. 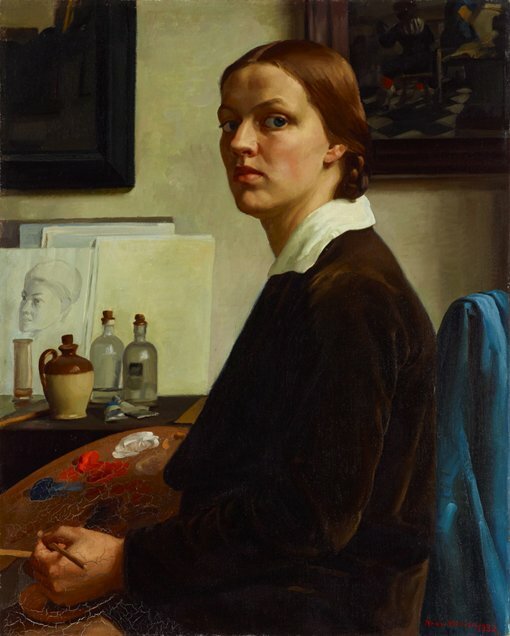 Across the way, in the 20th and 21st century Australian galleries you’ll find works by 20 other women, from Yvonne Audette to Mary Webb, including the arresting self-portrait of Nora Heysen, the first woman to win the Archibald Prize and the first to be appointed an Australian official war artist. Grab an exhibition ticket and head upstairs for three pioneering modernists — Georgia O’Keeffe, Margaret Preston and Grace Cossington Smith. 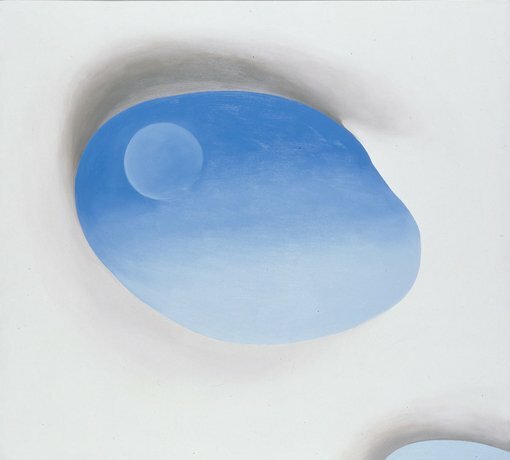 Opened in 1997, the Georgia O’Keeffe Museum was the first museum in the United States dedicated to a single female artist, and an O’Keeffe work holds the record for the most expensive painting by a female artist sold at auction ($44.4 million in 2014).